Voltron here! Talking about Vampirella, that's Roger Cormen's take on the classic cult comic book that started way back when during the 1970s'. Anyway, I know that true fans of the Vampirella comics are not going to like the changes or the low budget when lesser characters get multi-million block buster roles. But not being a fan or never read any of the comics I can see it from fresh eyes. The story is about Vampirella who pursues Vlad the murderer of her Father to Earth, but landed centuries after Vlad did and avoided the anomoly that makes Vlad and his followers sensitive to sunlight. That's right, vampires are aliens. Now Vampirella has one goal on Earth, kill Vlad or as he goes by now Jamie Blood. 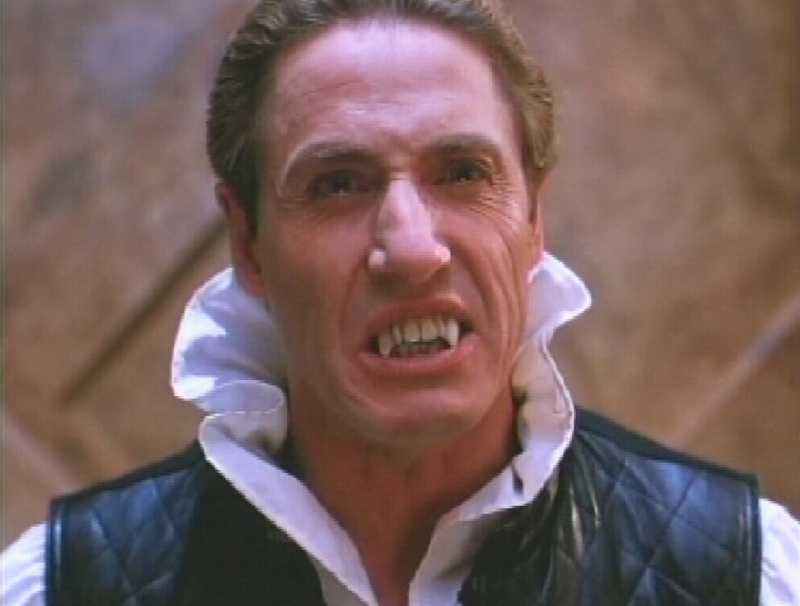 Played by Roger Daltrey who seemed to be everywhere in the late 90's, Sliders, here. Everywhere. Anyway, the costume is all wrong and I think this movie can stand a bigger budget remake instead of some of the good stuff that doesn't need to be remade. But as it stands by itself, it's not a horrible movie and I think it barely deserves to be called a buried treasure.